As Silk Air continues to be merged with Singapore Airlines, several upgrades are being rolled out among their fleet. One such upgrade is the inclusion of business class lie-flat seating onboard their 737s, a real bonus for those premium passengers who are looking for a consistent seat product across the Singapore fleet. 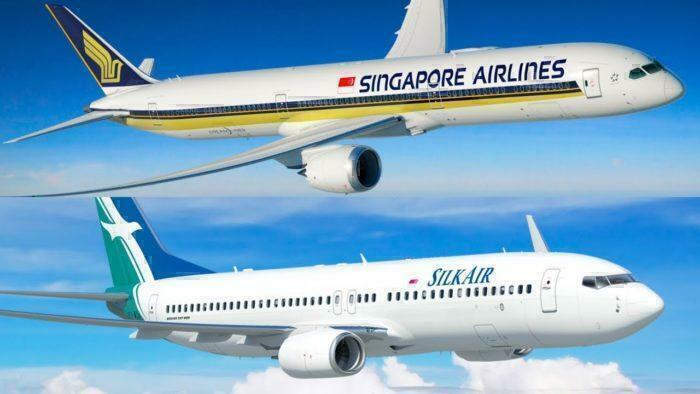 Announced back in May 2018, the merger between Singapore and Silk Air will allow Singapore to offer more regional flights to smaller airports. Additionally, it will save the smaller carrier who’s profit has dropped by 90% due to rising fuel prices (and increased competition from the likes of Air Asia). What are the details of the new business class seat? The new seats will be rolled out to the existing Silk Air 737-800s, and be debuted onboard the new 737 Max 8 aircraft (They already have five flying and have another 32 on the way). As the Silk Air Airbus A320’s will be retired, the seats will not make an appearance onboard. Currently, on board, business class passengers only have access to a partial recliner seat. The new seats come in an alternating 2 x 2, 1 x 1, 2 x 2 configuration, with every second row featuring a ‘throne’ style seat that allows some passengers to have more privacy. In the other rows, there isn’t direct aisle access for every seat. 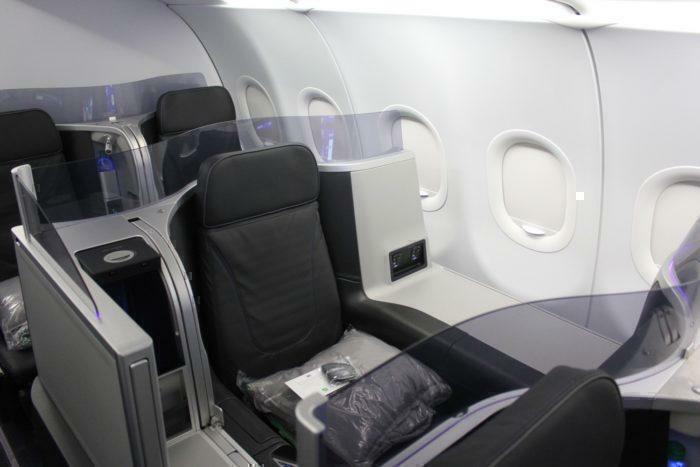 The seat design, known as the Thompson Aero Vantage, is already in popular use onboard Jetblue in their Mint Business Class. JetBlue Mint. The ‘throne’ seat. These seats are part of a much larger $100 million dollar upgrade to the Silk Air fleet, which for example, will see new seat back entertainment screens fitted to both economy and business class. This will bring the aircraft in line with other regional aircraft in the Singapore fleet, such as the Business Class on its A350-900 medium-haul as well as 787-10 fleets. With a consistent product, a passenger that is transferring from a business class seat on a Singapore A380 will be able to expect the same level of quality on the smaller 737 regional jets. This will also ensure that Singapore has less reliance on other airlines for regional feeder routes. Passengers will be able to enjoy these seats from 2020 onwards. What do you think of the new Silk Air seating?